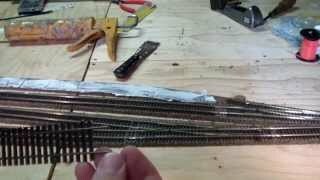 Here is an updated and hopefully better version of how to solder and install model train flex track. In this video I have corrected several things several things pointed out I did wrong and tried to get some better camera angles. If you have any questions or suggestions let me know and I will see what I can do!